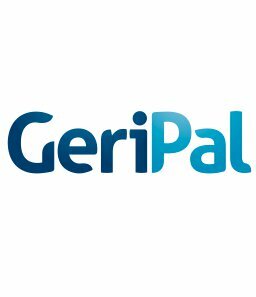 GeriPal (Geriatrics and Palliative care) is a forum for discourse, recent news and research, and freethinking commentary. Our objectives are: 1) to create an online community of interdisciplinary providers interested in geriatrics or palliative care; 2) to provide an open forum for the exchange of ideas and disruptive commentary that changes clinical practice and health care policy; and 3) to change the world. We aim to be inclusive. We welcome the perspectives of generalists, specialists, gerontologists, palliative care clinicians, and anyone else interested in care of the elderly or palliative care. Anyone who wants to comment on a post is welcome -- just click the comment tab. Please email Eric Widera or Alex Smith if you are interested in being a regular contributor (you need to contact us to submit your own post). GeriPal has been the focus of workshops at AGS, SGIM, and AAHPM annual meetings. No confidential patient information should be placed on GeriPal, nor should any confidential information be placed in the comments. All email addresses collected by GeriPal for feed distribution will be kept confidential and will never be used for commercial reasons. The editors reserve the right to remove comments that are deemed inappropriate due to the commercial, abusive, or offensive nature of a comment. If you think your comment was deleted for inappropriate reasons, please email either Alex or Eric regarding your concern. The information provided on GeriPal is designed to complement, not replace, the relationship between a patient and and his/her own medical providers. GeriPal was created with the support of the Division of Geriatrics at the University of California, San Francisco. Its content though is strictly the work of its authors and has no affiliation with or support from any organization or institution. All opinions expressed on this website are solely those of its authors and do not reflect the opinions of any academic institution or medical center. If you reproduce the material on the website please cite appropriately.